Want to craft your way to Christmas? Learn how to make your own alternative textile wreath with this fun party workshop and get into the festive spirit! Learn how to make a beautiful alternative textile wreath this Christmas with our fun festive mobile workshops. Design and create a bespoke textile wreath to proudly display this Christmas. Great as a team bonding activity or as part of a festive family crafternoon over mince pies and mulled wine! You'll have the opportunity to make unique alternative festive wreath from scratch. Use a variety of decorative techniques to customise your long lasting and contemporary Christmas wreath. Our friendly workshop leader can teach you how to create stylish textile flowers, decorative flourishes, and luxurious bows for your wreath in your own choice of colour palette. Dig in to our festive haberdashery of trims to add some finishing touches and customise your handmade wreathes. Perfect for that festive DIY feel to impress your friends, family or work colleagues this Christmas! Group Size: Minimum charge for less than 10, no maximum. Suited to: Anyone! This session involves basic hand sewing and is perfect for people with or without craft experience. For those of you who haven't done any sewing before we'll show you how. For more experienced sewers, we'll show you some new and interesting skills to extend your knowledge. Bespoke to your requirements, with handpicked festive fabrics and trims to inspire you. 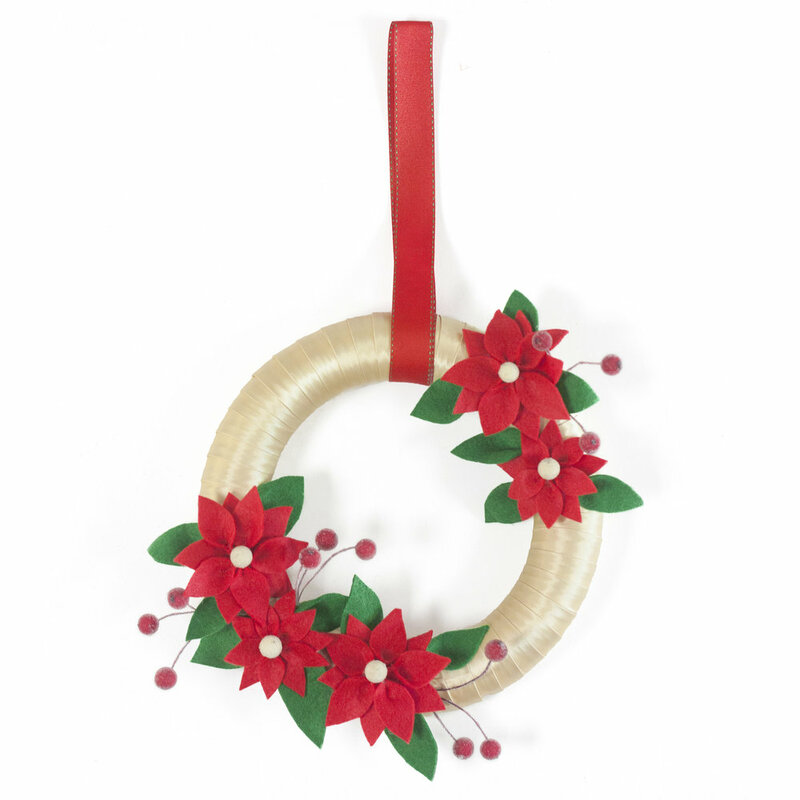 A quicker option with mini wreathes also available. Fun activity with groups of friends or colleagues. We also offer a stocking customisation workshop too, a popular Christmas craft experience, available nationwide.